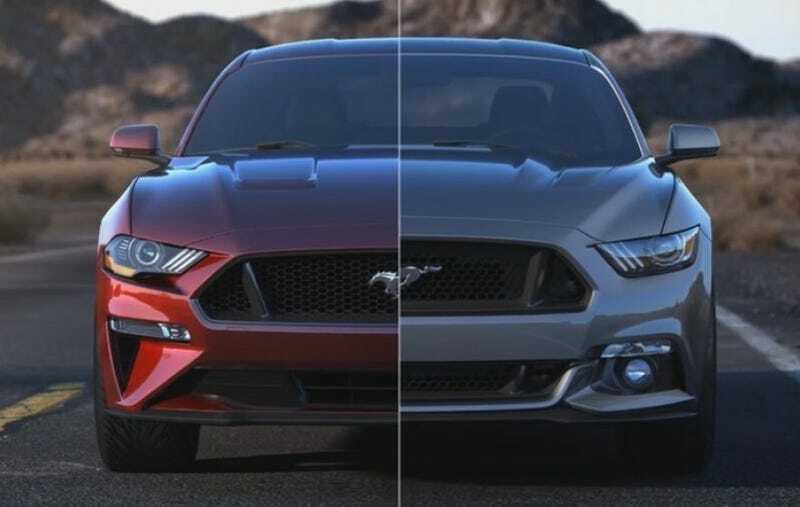 This level comparison shot of the front ends and how much lower the facelift is. Also, I NEED this premium rear bumper and diffuser combo for my 2017. And I know it’ll fit too. Then I can finally have quad tips!! Also, jelly that all models have heat extractors now. Another retro cue I’d like to have.